It’s the hottest day of the year. Your airconditioner’s not working, has broken down, is leaking, is not cooling, or is making a bad smell or a banging noise – whatever the case, you’ve completely lost your cool… so to speak. Because it’s an electrical appliance - particularly one that involves water, and which contains some very environmentally hazardous chemicals - you should never try to open up or fix a faulty air conditioner yourself. In most cases, the best solution is to call a licensed technician to repair or replace it for you. Having said that, in some situations there are some steps you can take for yourself. If you are having problems with the temperature of air coming out of your refrigerative air conditioner, or if is behaving erratically, there are a number of things that could be wrong. Ice may have formed inside the unit – which is addressed below. To check whether this is the case, you can switch off your air conditioner and lift the cover to check whether any ice is visible on or behind the filter. If so, follow the steps listed below. Another common cause is the thermostat sensor. Occasionally a thermostat sensor, which measures the temperature of the air the unit is blowing, is knocked and moves out of position. While the solution is relatively simple, it requires a licensed technician to diagnose and fix it (as do most other issues of this nature). For safety’s sake, you should switch off your air conditioner and call a licensed technician. Sometimes when an air conditioner stops working or is noticeably struggling, it is simply an issue of maintenance. If you don’t clean the air conditioner’s filter, the dust and dirt it collects creates a blockage, which stops the unit from ‘breathing’. The result of this is the formation of ice inside the air conditioner. This is one issue that you can usually fix without needing to call a licensed technician. First, switch off the unit for a few hours to let the ice melt completely. Depending on your air conditioner, you may want to move furniture from underneath it and put a towel or bucket down to collect any water that melts off. Once the ice has fully melted, remove and clean the filter. Dry and replace the filter, and in most cases this will have fixed the problem. If your air conditioner keeps freezing over, you should contact a licensed technician. If an air conditioner won’t turn on, the first thing to do is to check the batteries in your remote control. It might sound stupid, but it’s surprising how many otherwise very intelligent people don’t think to check this! The second thing to do is to check to make sure you haven’t blown a fuse or tripped a circuit breaker or safety switch. Look on the main electrical junction box for your home, and if the circuit breaker or safety switch has tripped, switch it back on again and see if your air conditioner works again. If not, the problem is probably a little more serious, and you should call a licensed air conditioning technician. Ideally you should isolate the air conditioner at the main circuit breaker or safety switch until the technician arrives. If turning your circuit breaker or safety switch back on works but the unit trips again shortly thereafter, the problem might be in your home’s wiring. If you have any other appliances running at the same time (particularly ovens, washing machines or other powerful appliances) you can also try turning these off to see if it makes a difference. 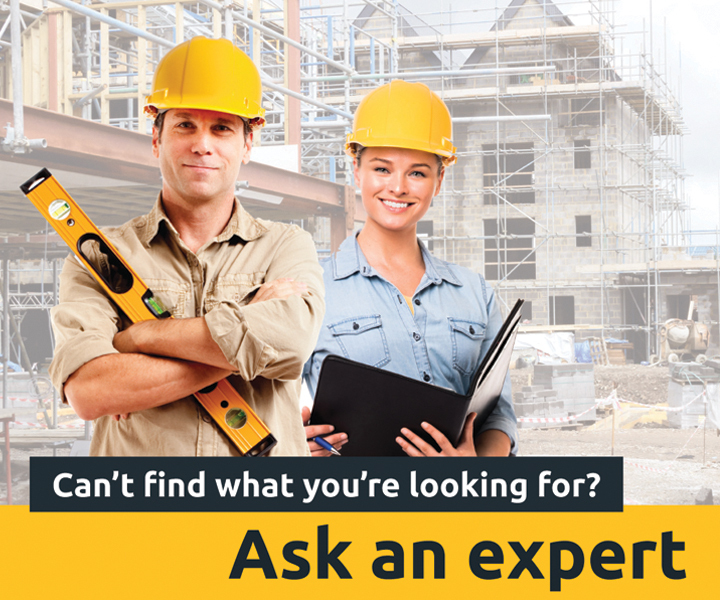 If it does, you may need to hire an electrician to check or update the wiring in your home. 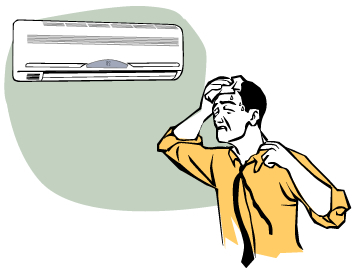 To pre-empt any potential burn-outs, you should maintain your air conditioner as laid out in the owner’s manual. Likewise, avoid turning the air conditioner on and off any more than necessary to avoid sending it to a premature grave. If you find a refrigerant leak, the temptation is there to simply put more in. Unfortunately all that will do is cost you a lot of money on refrigerant, and is likely to be dangerous. To fix this, you will need to contact a qualified and licensed technician who can come out and repair and test the system to make sure that it is working at its full potential. If possible, isolate the air conditioner by switching it off at the circuit breaker or safety switch until a repair technician arrives. Leaking refrigerant must be handled with extreme care because of the potential danger it poses to the environment. If it leaks into the atmosphere, a single kilogram of R410a (the most commonly used refrigerant in air conditioners) will cause as much damage as running your car for six months! small dead animals in or around the airconditioner. The first of these problems is easily the most common – and is an indication that you need to get your air conditioner serviced as soon as possible. A blocked drain pipe can cause water to build up in your air conditioner unit, which will cause far more damage if it’s not taken care of in time. Regularly cleaning and servicing your air conditioner will help you to prevent this. If you suspect that the smell might be from a dead animal (like a mouse, possum, lizard, cat or bird), you can first check outside to see if you can identify the gruesome source. If you suspect it might be coming from inside the air conditioner unit (or inside one of your walls), you will need to call a licensed technician to help. Some smells, particularly those drawn in from outside the house or those that have been ‘lurking’ in your air conditioner while it’s been turned off, may eventually be blown out of the system. If you suspect this is the case you can try leaving your air conditioner on for five minutes with the fan on full – or try again once the neighbours have finished cooking whatever it is they’re trying to cook. Occasionally, air conditioners will start to make loud (sometimes deafening) banging or wailing noises. If this happens, most of the time it is the result of a dislodged fan belt. This fix is not difficult, but because this is high powered electrical equipment, you will need a licensed professional to fix it. You should not switch on the air conditioner until it’s been fixed – doing so could cause far more damage. While the technician is fixing this, it is a good idea to get them to check the bearings of the motor as well – they may need to be replaced.